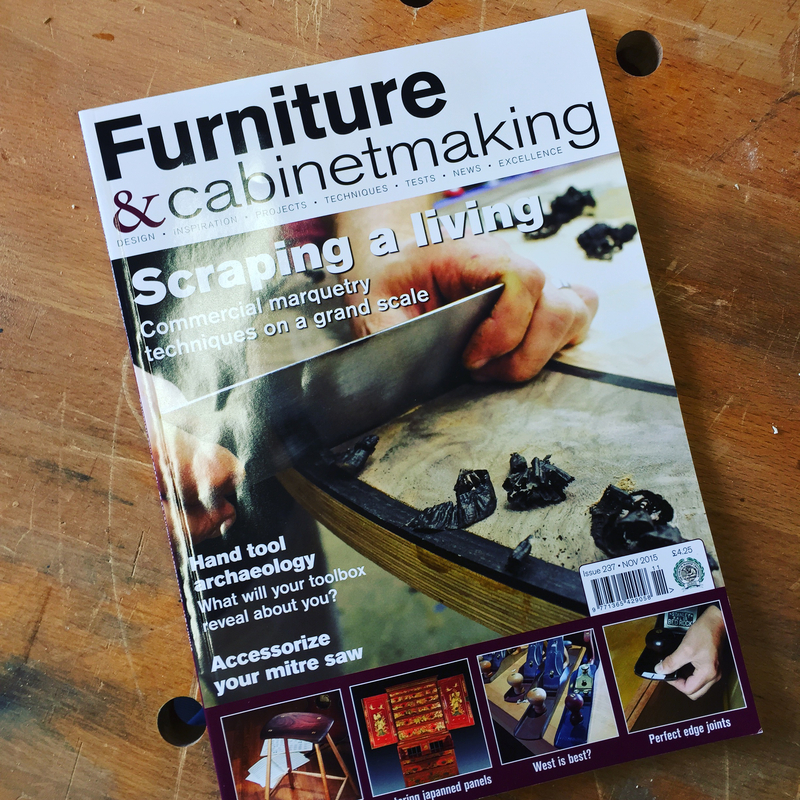 Issue 237 of Furniture & Cabinetmaking hits stores on Friday 1 October, and carries my article on “Workshop Archaeology”. I’m pretty sure this is the first time one of my articles has been mentioned on the front cover, which is all very exciting. As ever, the magazine is chock full of other great articles, including how to edge joint timber, the use of winding sticks, and a marquetry project. It’s hard to believe that the European Woodworking Show finished a week ago now, and I am typing this one handed while pinned to the sofa under the apprentice as she gently snores (even more incredible is that she is 5 weeks and 3 days old already). Last weekend was a huge blast, despite the 3am alarm clock on the Saturday morning. Thank you so much to everyone who stopped by my stand to say hello or to talk about lutherie. The show really was an incredible event. I wasn’t entirely sure what to expect, as I’ve not demonstrated at a woodwork show before, and unlike most of the demonstrators there, I wasn’t really selling anything (other than myself). 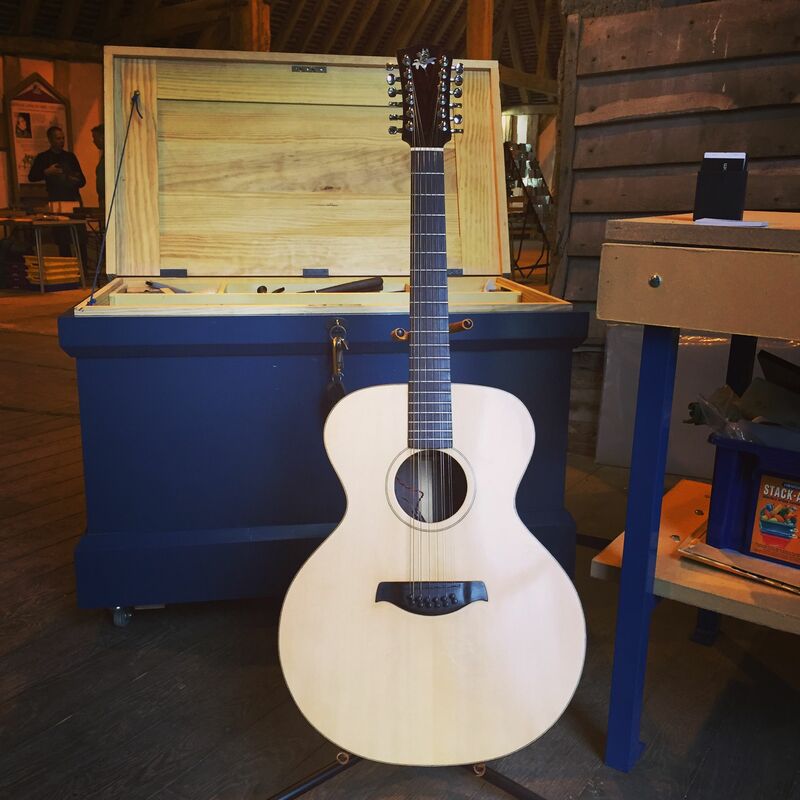 As it happened, I didn’t have any opportunity to work on the parlour guitar over the course of the weekend, as I had a constant stream of people wanting to look at Esmerelda and the tool chest, talk about some of my recent articles in Furniture & Cabinetmaking, and generally talk about lutherie and furniture making. 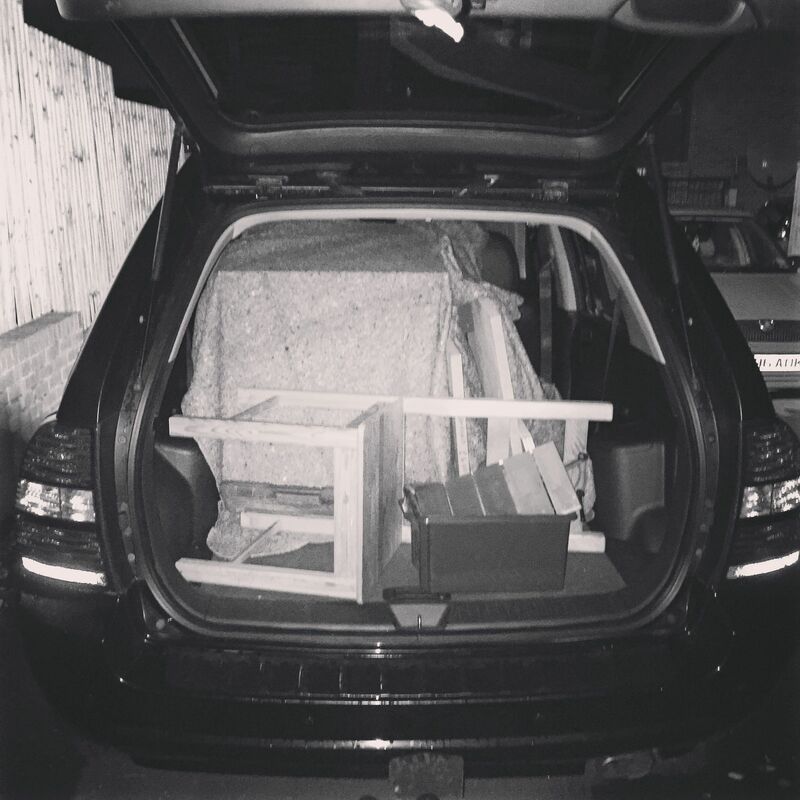 One medium sized SUV can take an Anarchist’s Tool Chest, guitar, 4ft bench, overnight bag, and still have plenty of spare room. 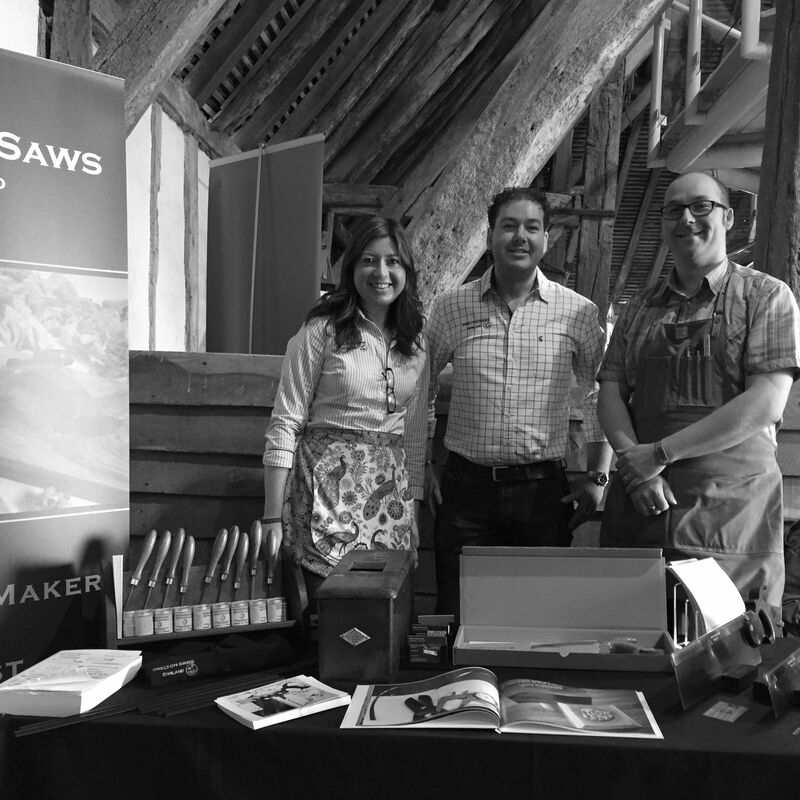 One of the highlights of the show for me was getting to catch up with so many good friends, and to meet other makers, including some of the people behind my favourite tools. This networking has inevitably opened up new opportunities, which I hope to be able to write about on the blog in the coming months. 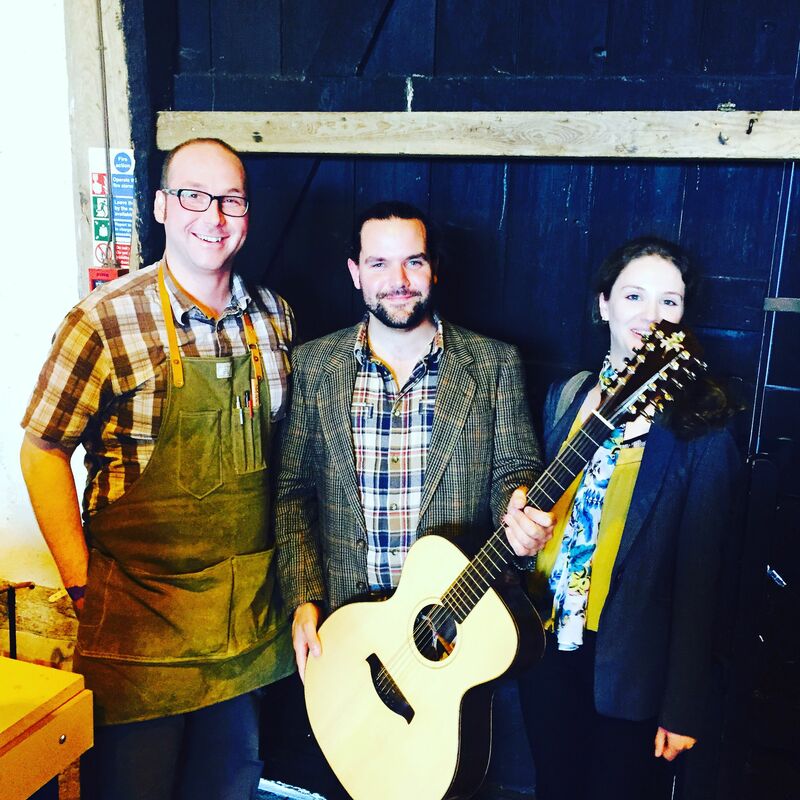 But for now, expect a couple of exciting new articles, a forthcoming blog collaboration project with the Minimalist Woodworker, and also the opportunity to come and learn some lutherie techniques from me in the classroom. All of which I am greatly looking forward to. 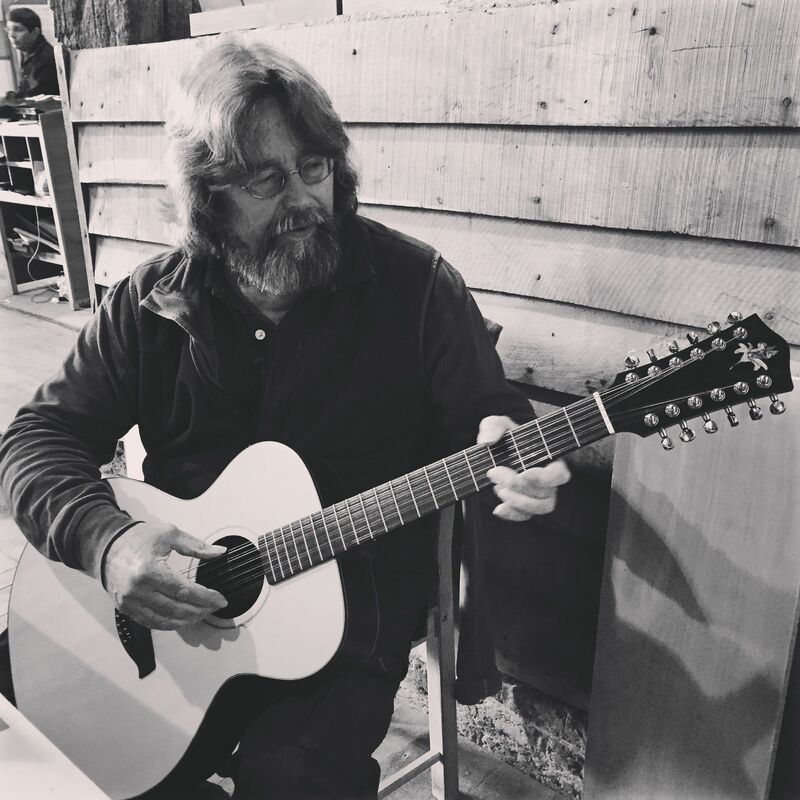 The quality of participants at EWS was of an incredibly high standard (where else does Sunday morning start with David Charlesworth trying out one of your guitars? ), and I was honoured to be invited to take part in the show. The following is just a sample of the folk I enjoyed meeting and talking to over the course of the weekend (and apologies to anyone I didn’t get a photo with, I will be sure to make amends at EWS 2017!). 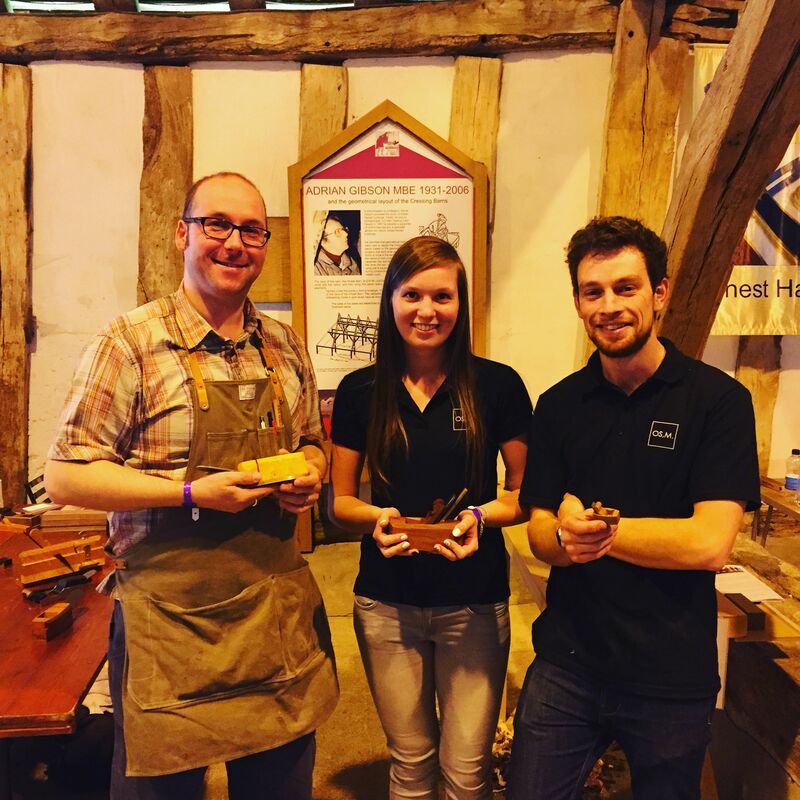 My stand was directly opposite the lovely people from Skelton Saws. 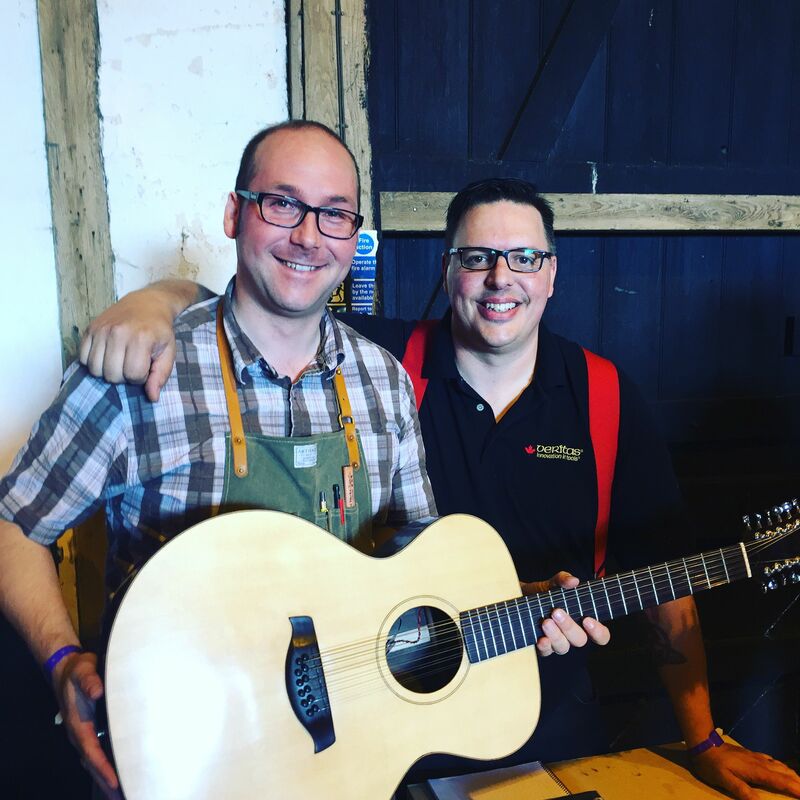 Shane makes some incredibly nice saws, and has some exciting new products in the pipeline, do check his work out! 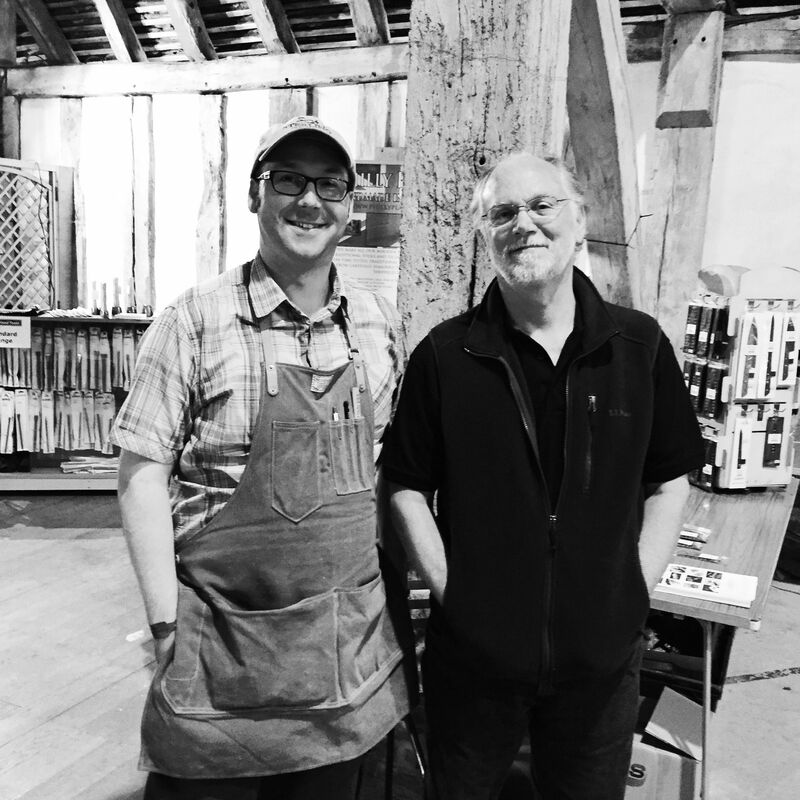 The marking knives, awls and mallets by Blue Spruce Toolworks are in constant use in my workshop, so it was lovely to meet the good folk behind these wonderful tools. David Charlesworth playing Esmerelda. Just something that happens at EWS, apparently. And no, before you ask he didn’t use the ruler trick on her. Oliver Sparks is undoubtedly one of the most exciting British talents to watch at the moment. You best believe that I’ll be ordering some of his planes pretty soon. 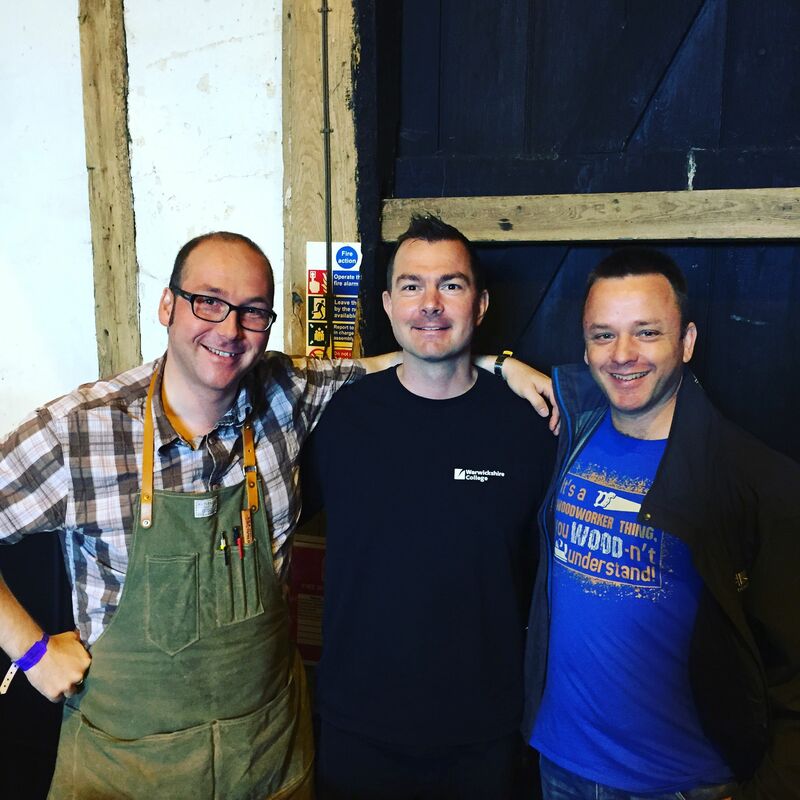 English woodworking royalty stopped by my stand to talk about minimal tool kits, traditional workshops, and guitar building! 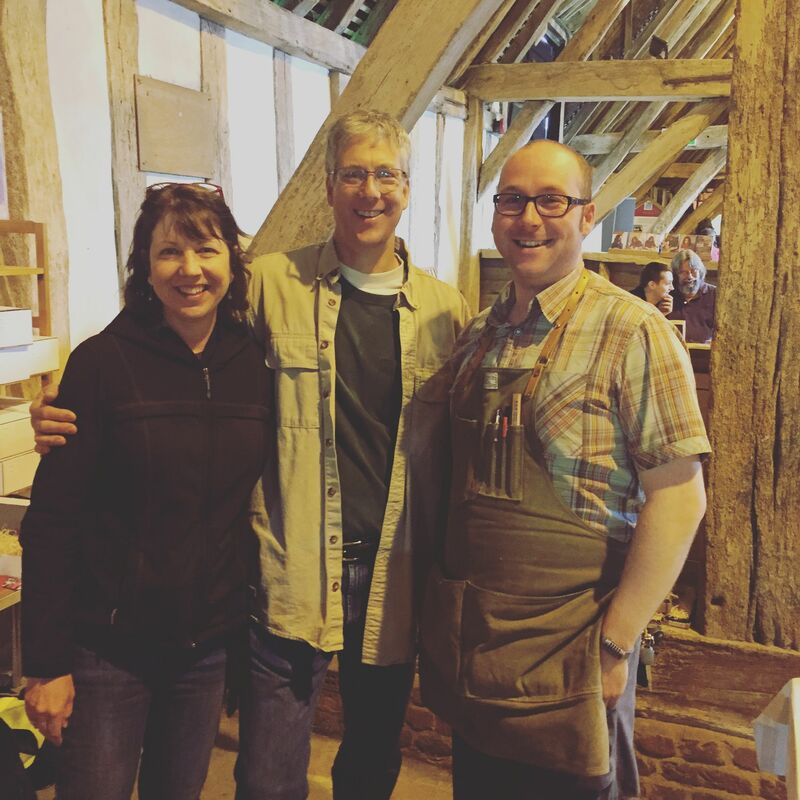 Having followed the English Woodworker for a long time, it was great to meet Richard and Helen in person. Ron Hock – the man who made me really understand sharpening. Truly knowledgeable, and thoroughly lovely chap. Great to catch up with Jamie Ward (c) and Steve (r). I’m already booked in for EWS 2017, and will have the apprentice with me for that show (child labour laws say it’s fine to have 2 year olds working for you, right?). So look forward to seeing everyone there in two years! Playing the shell game: now in a store near you! 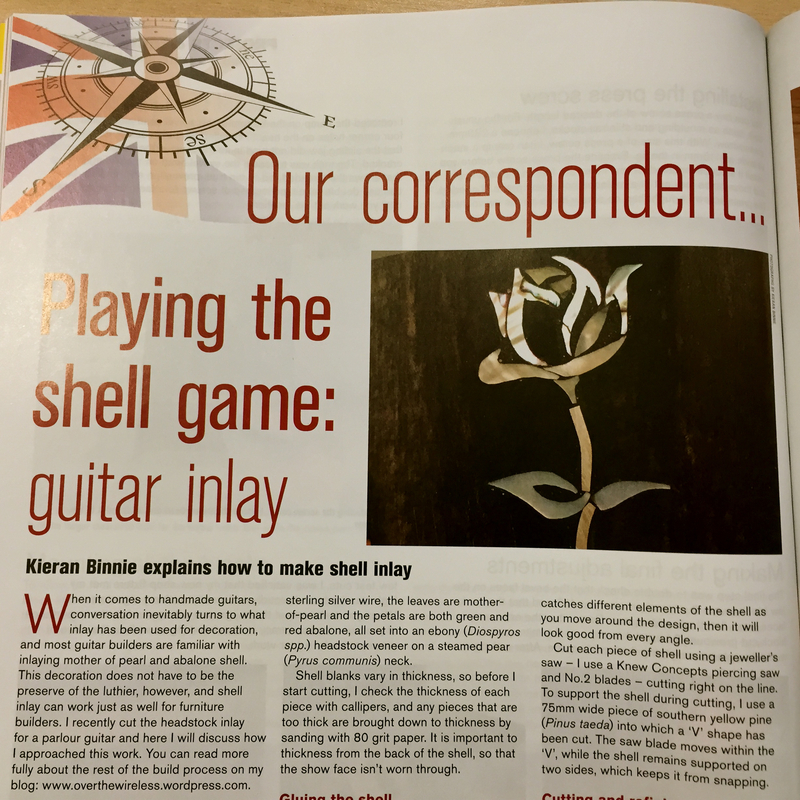 Issue 236 of Furniture & Cabinetmaking is now in stores and contains (amongst others) my article on shell inlay techniques (some of which I will be demonstrating next weekend at the European Woodworking Show). It’s always a buzz to see my writing in print, and this is an excellent issue with some great writing by Anne Briggs, Mark Harrell, and others.